Shakespeare’s interest in all things medical is well known; the works of Shakespeare are rich in major and minor medical references. 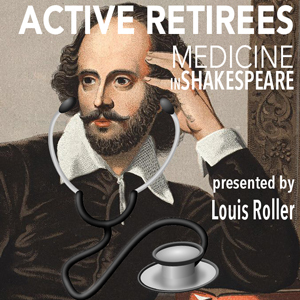 Join us on this Monday afternoon to hear Louis Roller talk about Medicine in Shakespeare. 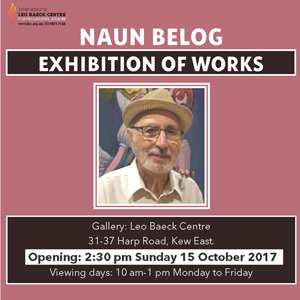 LBC art gallery is proud to present the works of Naun Belog, a Holocaust survivor born in Odessa, who eventually found his way to Australia. Part of this exhibition includes paintings of unknown Shoah survivors as well as paintings Naun had completed whilst living in Australia. Open for viewing Monday-Friday 9:30am-1:30pm.